Rose was at some stupid Adidas unveiling today, but forget that; listen to this. 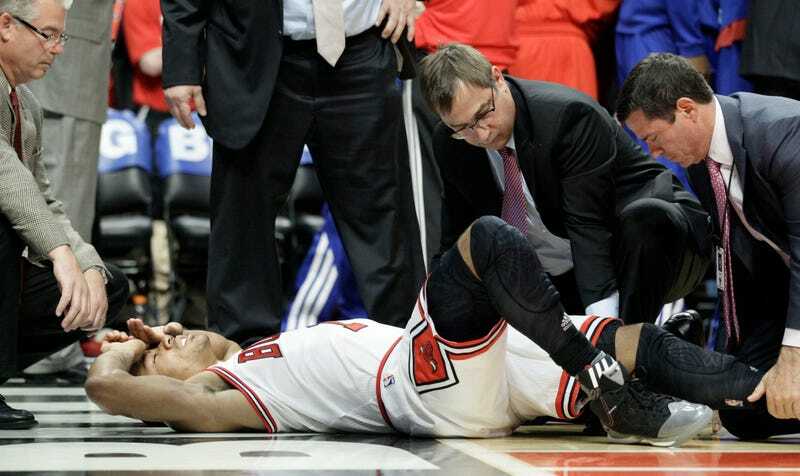 "Chicago Bulls star Derrick Rose started to cry Thursday when a video of him tearing his left ACL and rehabbing was played..." Now that's a lede! In case you're curious, Rose's rehab is going "well."